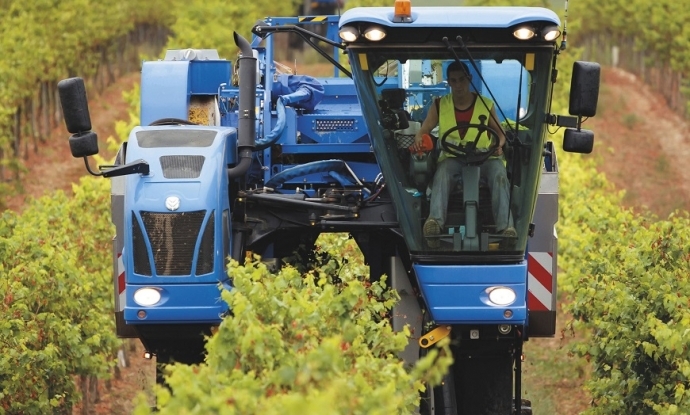 France is the world’s leading purchaser of grape harvesting machines. France is the world's leading purchaser of grape harvesting machines, with an average of 50% of the 1,000 machines manufactured each year. This figure is even more noteworthy when you consider that French vineyards account for a mere 10% of the worldwide total. In 2016 in France, 600 grape harvesting machines were sold on a market that has remained buoyant since 2014. On a nationwide level, the Gironde department (around Bordeaux) bought the most machines. On the export market, 99% of grape harvesting machines in the world are made in France! France exported just under 500 machines in 2016. Spain was the destination of 36% of exports, followed by the USA, Italy, Australia and Germany. All the French know-how in mechanical harvesting will be on show at SITEVI. The visitor pass ordering platform will be opening shortly on our website. Source: AXEMA, 17 August 2017. - AXEMA is the trade association of the Agricultural Equipment industry.